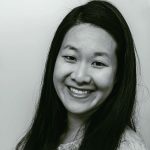 Published Aug 2, 2018 By Julia 69 CommentsThis post may contain affiliate links. Craving fried chickien? Here’s an easy and simple recipe for making it at home! Same great crunch and flavor, minus most of the carbs. Each serving (3 fried chicken pieces) has only 2.5g net carbs! 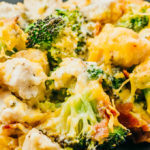 Boneless and skinless chicken thighs are cut into small pieces and “breaded” in a mixture of almond flour, finely grated parmesan cheese, and seasonings. Then they’re dipped in an egg wash and breaded again. After that, they go straight into the hot oil, deep frying for about 5 minutes until deep brown and cooked through. 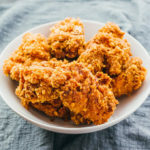 The end result is fried chicken that’s crunchy and flavorful on the outside, with juicy and tender meat on the inside. Yum! If you’re not a fan of deep frying, you might be interested in making this chicken parmesan recipe, which uses breast meat shallowly fried on a pan, not deep fried. This low carb breading is a bit on the saltier side, which is how I like my fried chicken. If you’re trying to minimize your sodium intake, you can decrease the salt by up to half. There’s a small amount of cayenne used, resulting in very minimal heat. For spicier chicken, you can add to taste or double the amount. Paprika is included for a smokier breading, and to give a nice orange color to the fried chicken. 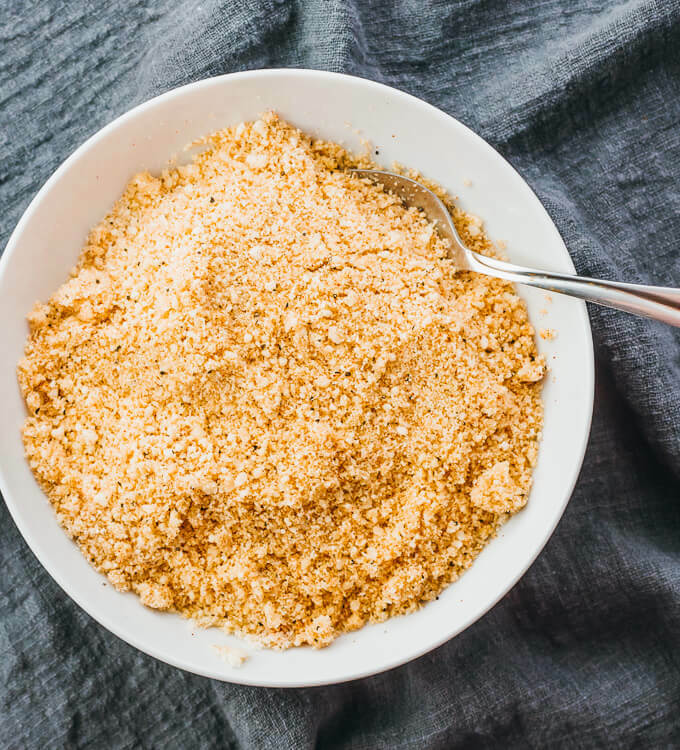 Make sure you use parmesan cheese that’s finely grated, which means it has a sand-like consistency. Don’t use shredded cheese, which won’t stick as easily to the chicken. I use an 8-inch stainless steel pot for deep frying the chicken on the stovetop. You can do the same, or you can use a deep fryer. The main benefit of using a deep fryer is automatic temperature control, so that the oil stays at a constant 350 F. Since I don’t use a deep fryer, I monitor the oil temperature and adjust the flame as needed to keep the temperature from fluctuating too much. Note that the oil will tend to run hot when there are fewer chicken pieces simultaneously frying, and run cold when there are a lot of chicken pieces. I suggest using any vegetable oil with neutral flavor that can be heated to high temperatures without burning. I use canola oil, and other common ones for frying include sunflower oil, rice bran oil, avocado oil, and peanut oil. Avoid re-using old oil. For best results, use a fresh batch of new oil every time. If your chicken thigh pieces vary a bit in size, they may not cook at the same rate. On average, it takes me about 5 minutes to fry them until deep brown and cooked through, but yours may take longer if you have large pieces. To check if your chicken is done, insert an instant-read thermometer into the center of the thickest part. It should read at least 165 F. If not, give it another minute or two of frying before testing again. Is your chicken is taking much longer than 5 minutes to cook through? Here are possible reasons: the oil may not be hot enough, the chicken may not be completely submerged in oil, your chicken pieces may be unusually large, or you are overcrowding them in the pot. Thighs are quickly becoming my preferred chicken cut. They’re juicy, flavorful, hard to overcook, and easily available as boneless and skinless. But why are they the best for fried chicken? Thighs, once deboned, are uneven. 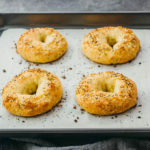 They have all sorts of nooks and crannies, providing lots of surface area for delicious breading to easily adhere to. You get a lot more crunch in every bite compared to breaded chicken breast tenders. A lot of people avoid thighs because they think they’ll have to deal with bones and skin. That’s not the case at all, given the wide availability of boneless and skinless thighs at grocery stores. 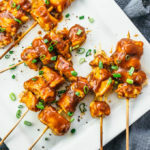 Most recently, I’ve been using them to make Instant Pot Chicken Thighs With Balsamic Sauce. Healthy keto fried chicken that's crispy and crunchy, made with boneless thigh meat "breaded" in almond flour and parmesan cheese. Low carb and gluten free. Repeat with the other chicken pieces. You may want to work in batches to avoid overcrowding in the pot -- I usually have 6 chicken pieces frying simultaneously in a 8-inch wide pot. 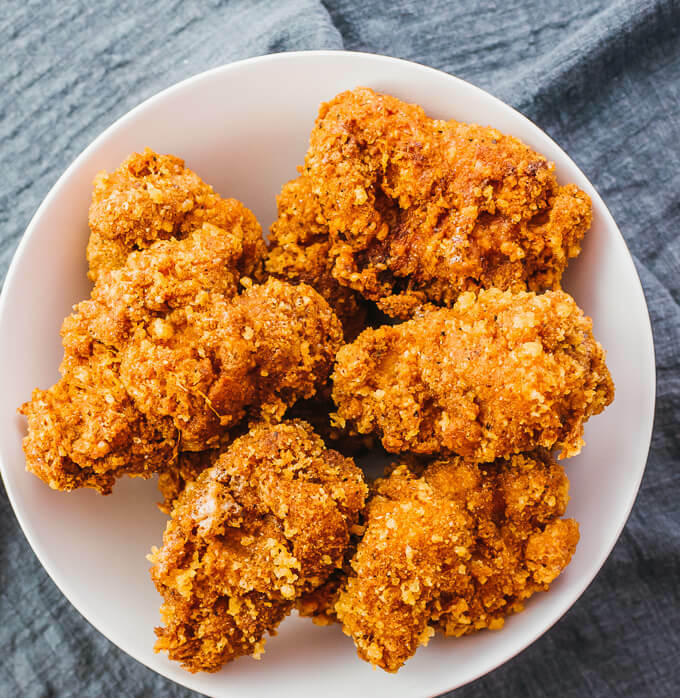 This recipe yields 2.5 g net carbs per serving (3 fried chicken pieces or 1/4 of recipe). Nutrition info does not include vegetable oil used for frying. 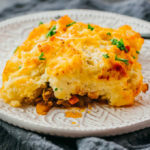 Love the recipe for keto skillet biscuits! 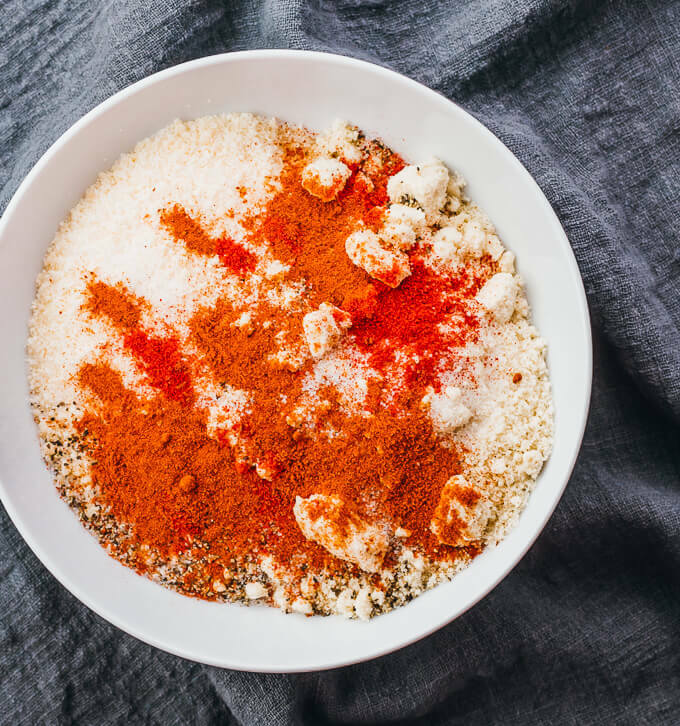 Have you used cassava flour in any recipes? I am experimenting and it works well in frying food. I always fry in avocado oil and found that almond flour does not stick to the food and ends up burning in the oil. Do you have a cookbook? I haven’t had any trouble with almond flour not sticking to the food, but I also combine it with parmesan cheese. I haven’t tried cassava flour or avocado oil though. I choose chicken breast instead of thighs. Cut the chicken into strips (chicken tenders) they were Super delicious!!! Really enjoyed this one. Used a skillet to fry. Took a bit longer to come to temp but i think that was because of the temp of the oil. Will make again. 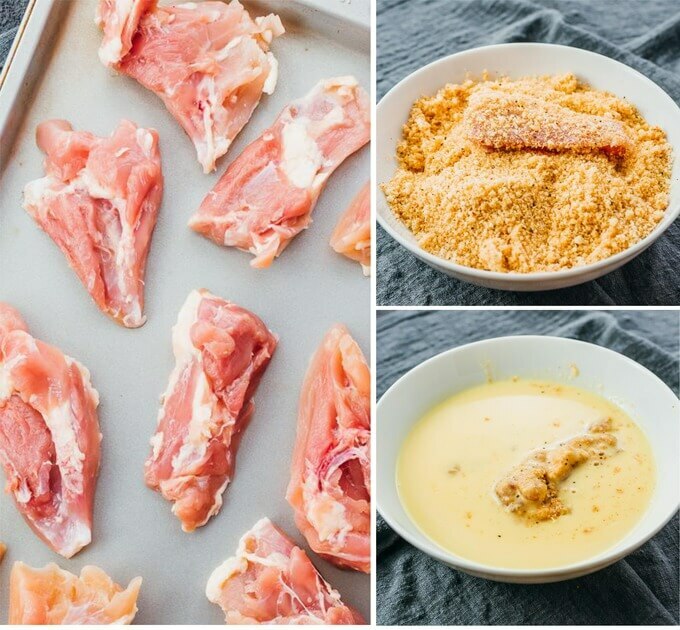 I am wondering….as my husband is not a thigh fan at all and loves chicken breasts, what do you think of this idea? 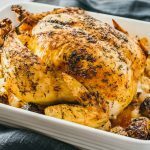 Can I use this coating recipe on whole bone in-skin on chicken breasts and cook them in my turkey fryer? Hi Deb! I think this can also work with chicken breasts. I would use skinless and boneless, and cut them into small pieces. Then apply the breading as indicated in the recipe. 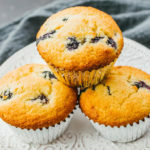 If you also make this with thighs, let your husband try a piece… it’s possible that he won’t even be able to tell they’re thighs. Could coconut flour be used instead? I haven’t tested with coconut flour so I can’t say how it’ll turn out. I don’t think it would work as well. This was so delicious I had to double ch eck all my ingredients to be sure it was keto!! Tastes so good it feels like you’re cheating, right? I think it actually tastes better than most fried chicken I’ve ever had. This looks so good. I don’t eat chicken but would love to try it on fish and shrimp. Fish or shrimp would be delicious. 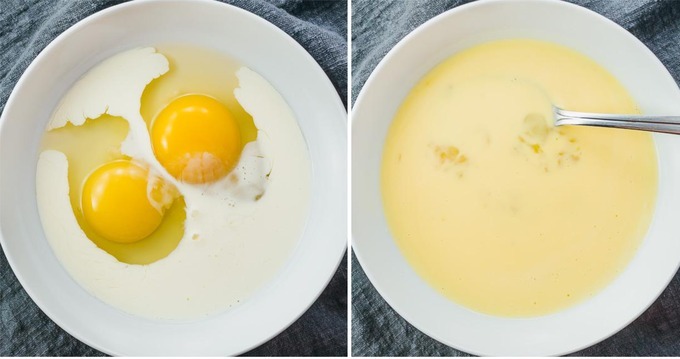 You can use the same egg wash and breading ingredients for them. Would Coconut Oil be ideal to use instead of Vegetable Oil? The concern with coconut oil for deep frying is its smoke point. See https://en.wikipedia.org/wiki/Template:Smoke_point_of_cooking_oils. Notice that refined dry coconut oil has a smoke point of 450 F, which is much higher than the recipe’s frying temp of 350 F, so that would work. But unrefined, dry expeller pressed, virgin coconut oil has a smoke point of 350 F which is too low. I really din like thigh meat. Can wings be used? That would probably work. Remove any excess fat and skin from the wings first. FYI the thigh meat is barely perceptible… it’s incredibly tender and a lot of people who don’t usually like to eat thighs don’t mind them in this recipe. Hi, would it possibly work in an air fryer? I haven’t tested this recipe in an air fryer, so I’m not sure how it’ll turn out. since the ingredients are 4 pieces of chicken and you say it makes 4 servings, does that mean that 1 peice is 1 serving? The ingredients have 4 chicken thighs. Each thigh is cut up into 3 pieces (see recipe instructions). That makes a total of 12 pieces. Each serving is 3 pieces, which is equivalent to 1 thigh. I doubt it. Fried foods usually don’t freeze/reheat well. This recipe was perfect!!! Delicious. Thanks so much for helping me stay Keto!! Is there a substitute for the cheese? Are you trying to avoid dairy? You might be able to find a vegan cheese. It’ll work best if the substitute is finely grated (like a sandy consistency) and hard (as opposed to softer cheeses). 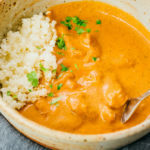 Oh my goodness this recipe is SO GOOD! 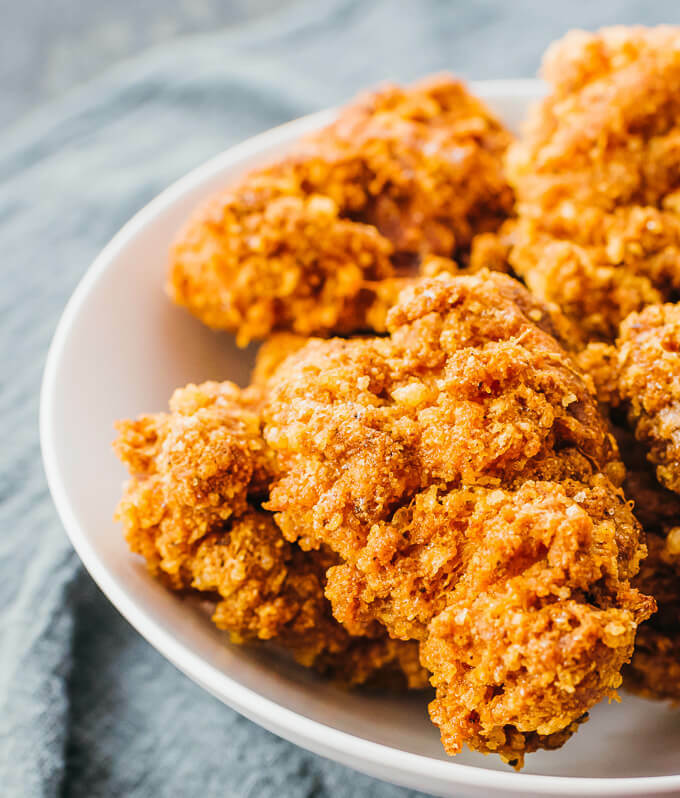 Crunchy “breading” and super juicy chicken. Definitely making this again!! Being on keto means putting your body into ketosis, which is done by restricting carbs, and vegetable oil certainly doesn’t have any. How would I make this in my air dryer? I haven’t tested this in an air fryer before, so I’m sorry I can’t be of any help. Hopefully another reader can chime in with suggestions. We just tried this in the air fryer with whole pieces of bone in chicken (thighs and legs). We doubled the time that the air fryer suggested and while the breading was crunchy the chicken was not done, not even close. This is really lovely fried chicken! I love the breading – very unique. I’ve personally never made fried chicken, nor baked fried chicken. I really don’t know why. I’ve never purchased it, either. But I’m sure it’s good! Thanks Mimi! I can’t believe that you haven’t tried fried chicken before 🙂 You’re missing out!